In spite of one study that says those who are a bit overweight might live longer than those who are “normal #weight,” you still need to know where you stand — are you within your healthy weight range, overweight or obese? Because what that now-famous study published in the “Journal of the American Medical Association” failed to discuss was quality of life issues, including any diseases you might be living with during this longer life span. That’s why it’s critical to know your weight status. Many of us believe we can simply look in the mirror or jump on a scale, but that’s just not the case. “A large proportion of overweight individuals do not have an accurate perception of their weight status. This underscores the need for measurement of obesity. People in the overweight range who don’t know it may not make the effort to manage their weight. As a result, they may be at heightened risk for developing obesity and associated #health problems,” says Marney A. White, Ph.D., an obesity researcher at the Yale University School of Medicine Eating Disorders Research Program who co-authored a study that appeared in “Obesity Research.” And, conversely, normal-weight individuals who perceive themselves as overweight may be prone to negative behaviors such as unnecessary dieting and binge eating. Results of White’s study suggest that a substantial proportion of American adults incorrectly perceive their weight status. More than half of all men reported they were normal weight when they were, in fact, overweight. And almost 20 percent of men who thought they were normal weight were obese. Approximately 25 percent of women thought they were normal weight when they were overweight, and 10 percent who thought they were normal weight were obese. Another study, also in “Obesity Research,” showed that even physicians have trouble determining whether they are overweight. About half of the overweight physicians misclassified themselves as “non-overweight.” Overweight men were more likely than women to misclassify (57 percent versus 43 percent, respectively). 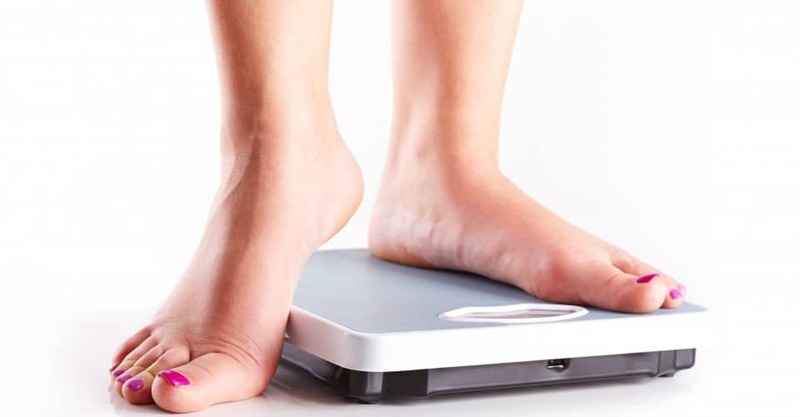 What is my #BMI, and why do I need to know it? Is Body Mass Index the perfect tool to predict whether you’re at increased health risk from being overweight or obese? Not exactly. The problem is that BMI is based on your weight and #height and doesn’t distinguish between muscle mass and body fat. In other words, two people can have the same BMI but very different percentages of body fat. For example, a bodybuilder with large muscle mass and low percentage of body fat may have the same BMI as a person who has more fat and less muscle. This sparked a recent controversy regarding pro athletes: Many players in the National Football League are classified as overweight or obese according to BMI standards. However, many of these highly trained athletes typically have lower body fat percentages and higher amounts of lean body mass and therefore cannot be defined by standards based on the average community. BMI is used to determine health risk factors related to obesity. 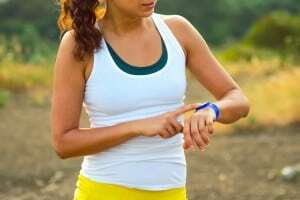 “It correctly predicts if someone is overweight or obese about 80 percent of the time. It’s considered a surrogate measure of obesity,” says Arlette Perry, Ph.D., a professor of exercise and sport sciences at the University of Miami. It is not particularly effective with athletes or the elderly, she adds, but as long as you are aware of that, BMI can be a valuable tool. Take your weight in pounds and multiply by 703. Then divide this number by your height in inches, and then divide that by your height in inches again. Which is more important: BMI or body fat? Many experts say your body fat percentage is a more important indicator than BMI for disease prediction. The best ways to measure body fat include: underwater weighing, bioelectrical impedance, dual energy X-ray absorptiometry (or DEXA, which measures the density of your bones), computerized topography or calipers (skin-fold measurements). However, these methods are expensive, may not be readily available to the public or in general clinical settings and/or need to be administered by highly trained personnel. If you don’t want to look at your BMI or percentage of body fat, how about your belt size? A recent study completed at the Johns Hopkins Bloomberg School of Public Health and published in the “American Journal of Clinical Nutrition” looked at more than 27,000 participants and reported that a person’s waist size may be a better indicator of health risk than BMI. The study showed that a waist size of more than 40 inches for adult men or 35 inches for adult women puts them at risk for type 2 diabetes.